On the 27th of June, NASA announced a new Solar Minimum is coming, every 11 years sunpsots fade away, this event is called a Solar Minimum and this is happening now with 2019, 2020, expected to be the the quietest period. Some experts believe sunspot activity is as low as the mid 1600's when low sunspot activity is thought to have caused a mini ice age, temperatures around the world would suggest the is not going to happen this time however. A large effect on the Earth's atmosphere. 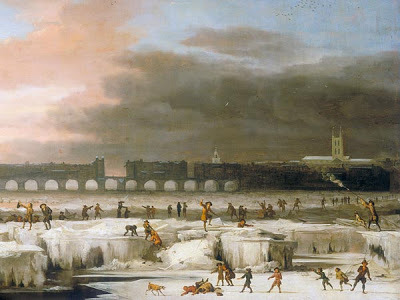 From the mid 1600's to early 1700's, a period of very low sunspot activity (known as the Maunder Minimum) coincided with a number of long winters and severe cold temperatures in Western Europe, called the Little Ice Age. It is not known whether the two phenomena are linked or if it was just coincidence. High up in the clear blue noontime sky, the sun appears to be much the same day-in, day-out, year after year. But astronomers have long known that this is not true. Properly-filtered telescopes reveal a fiery disk often speckled with dark sunspots. Sunspots are strongly magnetized, and they crackle with solar flares—magnetic explosions that illuminate Earth with flashes of X-rays and extreme ultraviolet radiation. The sun is a seething mass of activity. Every 11 years or so, sunspots fade away, bringing a period of relative calm. The sun is heading toward solar minimum now. Sunspot counts were relatively high in 2014, and now they are sliding toward a low point expected in 2019-2020. While intense activity such as sunspots and solar flares subside during solar minimum, that doesn’t mean the sun becomes dull. Solar activity simply changes form.